Bandits User Interface. Based on FTC modules (thx to Atropos for permissions). Has low weight, high performance and huge functionality. Do not use different UI add-ons in same time. If you lost texts then check add-on path. It must be precisely "AddOns\BanditsUserInterface", not "AddOns\BanditsUserInterface\BanditsUserInterface", not "AddOns\BanditsUserInterface 3.200", etc. Added German, French, Russian, Brasilian translation. 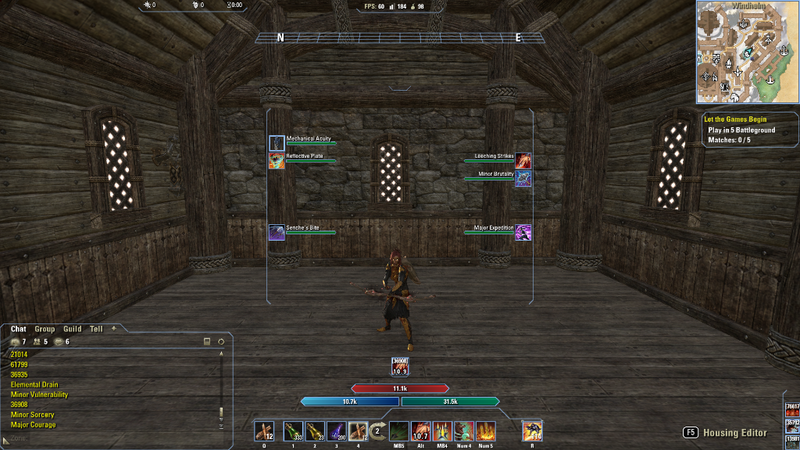 Fully customizable player and target bars, placed on center of the screen with many options, like fade, intelligent sizing, reversing, automatic info bar, etc. 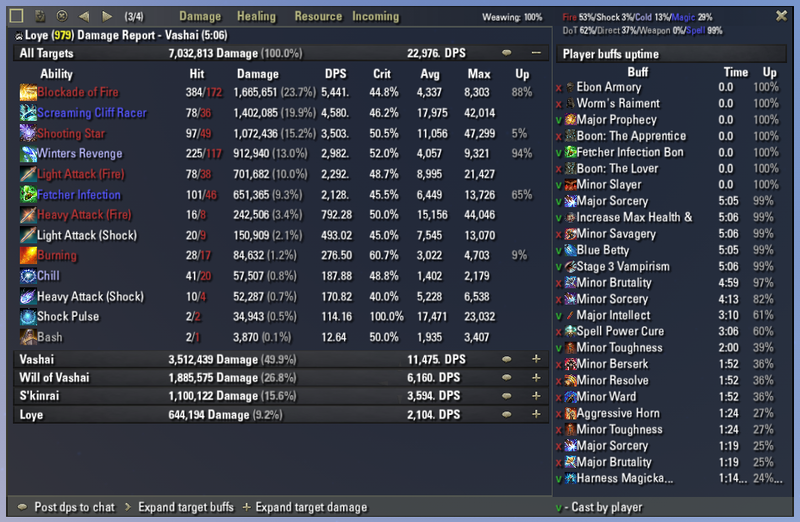 Detailed damage/healing report with DoT uptime, player buffs and each target buffs/debuffs and its uptime. + group dps on real time. Lightweight code. No resource and memory leaching. + each member average dps! (beta: disabled by default) Knows no difference between strong dd and newbie and can equalize them. Addon uses group roles, so it must be correct for close to exact results. - Curved frames are totally rebuilded. 4 different curved frames styles. - Player frames: Auto hide option was changed. - Reticle: Removed old options, added new. - Added french localisation for Automation section. Thx to Chlorobule. - Additional target frame sizes fix. - MMORPG style player frame improvements. - Skip confirmation dialog when deletting mails without attachments. - Auto close books. If you want to read the book then use it once more. - Disable large group invite warning. - Disable large/small group annoucement in chat. - Disable friend "logged on/off" chat messages. - Auto confirm fast travel. - Skip Bank, Store and initial quest text dialogs. - Skip contracts with low reward in Thiefs Guild and Dark Brotherhood. - Rebuilded nearly all frames, changed styles and some parameters. 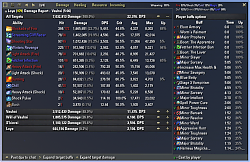 - Minimeter dps percentage fix. - Bosses frame: phases for some bosses. - Rotation speed for minimeter. - HPS percentage for minimeter. - API update for Murkmire. - Added french localisation. Thx to Cordialy! - Minimap: rebuilded zoom system. Zoom options will be reseted to defaults. - Added: phases for some bosses. - PvP notifications option is removed. - Now add-on automatically disables Combat statistics, Combat notifications and Stats share in PvP locations. - Imperial sewers minimap zoom fix. - Combat statistics light/heavy attack counter is now more accurate. - Bosses frame: Added de,ru,fr support. Thx for TERABIT. - Ability timers: Added de,ru,fr support. Thx for TERABIT. - Player attributes section: Added minor and major protection buffs. - Resistances in character window are capped to 50%. - All ability IDs is changed! I'm tired to support Actions module and it is downgraded to Ability timers. Swap panel, expires animation and some other functions is under construction. 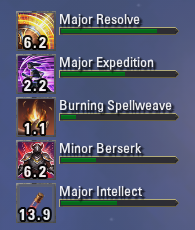 - Proc skills counters and animation are fixed for Summerset. - IDs are changed. All buffs blacklist records are now useless and they are removed from players saved data. - Buffs, Custom Buffs and Widgets are now works apart. - Widgets are now triggers on target effects. - New combat statistics end of combat system. Damage timeout is abolished. - Added: Immovable, Unstopable statuses to "CC immunity"
- Trials Notifications: Fixed "Purge" message. - New events, many light fixes. - Minimap: Temporary disabled function that changes size of world pins. Working on all pins sizes. 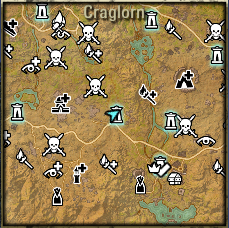 - Rejoice Nightblades! Assasins Will tracker now works perfect! 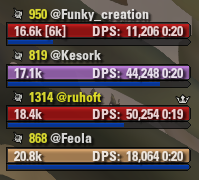 - DPS reports can be saved now. - Animation for ability procs. - Fixed possibility of emergence "ticks" from LibMapPing. I hate this library! It replaces the standard functions with its own. - Added support for cyrilic fonts. - Added option to hide on target buffs effects from other players. - Group frame now more easyer to configure. - Rebuilded color settings. Attention! All settings will be reseted to defaults! - Darkness level for «Arcs» textures! 1. Each frame style have its own decrease direction. Switch between them and test carefully. You will see that impossible to change direction. 2. Too many settings. Hard to tune for most players. Which addon does the teleporter refer to that could be enabled in the side panel ? Chat Tab Selector. Additions for Bandits UI was listed at the bottom of its description. Also any add-on can add its buttons to the Side Panel. Adding... icon works in the settings, it shows on the left side of the command, but it shows an empty icon in the actual bar. I noticed that when using this addon and trying to set a destination in the map, there is no sound for it. Player waypoint: Point on map and press "F"
Is it possible to change health bar colors depending on the NPC (friendly, neutral, enemy, guard...) ? If your question about target frame then go Settings>Target frame. It is simple! Do not ask stupid questions please. I was JUST about to post the same question. I really don't like the fact that everything I target appears hostile at first glance. Last edited by Glen348 : 04/17/19 at 07:01 PM. Hi, I noticed that when using this addon and trying to set a destination in the map, there is no sound for it. Setting a destination or removing it doesn't play any sound. I disabled the addon and the sound came back. Testing the new Custom Bar. I'm trying to add a Jubilee Cake button. The button itself seems to work, but I can't get it to remember the icon. Adding /esoui/art/icons/collectible_memento_jubileecake2019.dds as the icon works in the settings, it shows on the left side of the command, but it shows an empty icon in the actual bar. After a /reloadui the settings field for the icon is empty. You know that is already implemented? Last edited by wambo : 04/17/19 at 07:54 AM. I have tested easytravel and BeamMeUp. That leaves me to guess it is FasterTravel. Do you think we could ever get a channel bar helper of sorts, that shows the casting bar for abilities we are channeling? Is there any way to check what notifications are available? Last edited by wambo : 04/17/19 at 03:57 AM. 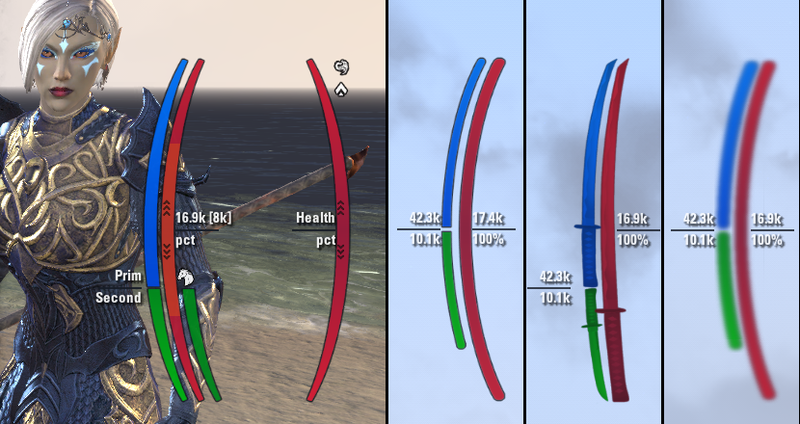 Hey Hoft, I was wondering if it would be possible to add in a setting that affects the behavior of curved frames, specifically how health resources deplete (top to bottom, bottom to top, or to middle [current permanent setting]). I really appreciated the old top to bottom set up and when the curved frames were revamped, that option was lost. Thanks for considering the possibility and for making a great add-on! Last edited by Renira : 04/17/19 at 12:10 AM. Sure. And you will receive notifications every 2-5 seconds! You allready have color difference of it on ability bar and effect animation on your character. 1. Is there no cast bar for me? 1. Am I something be bound for you? How can i enable the castbar? I can not find an option in any menu. Last edited by Random88 : 04/16/19 at 11:19 AM.